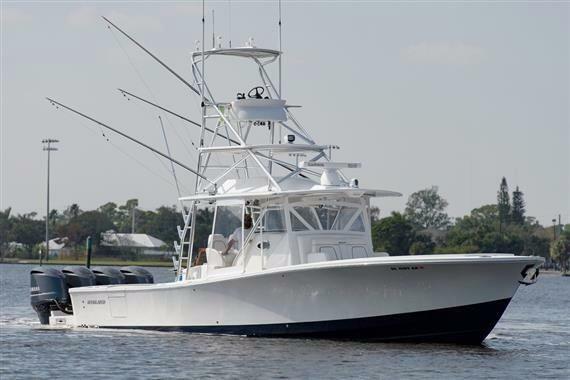 Regulator Boats has been building offshore sportfishing boats in Edenton, North Carolina for over 25 years. Ensuring marine engineering perfection by checking and testing every square inch, Regulator test drives its boats in the rough waters of the Outer Banks. 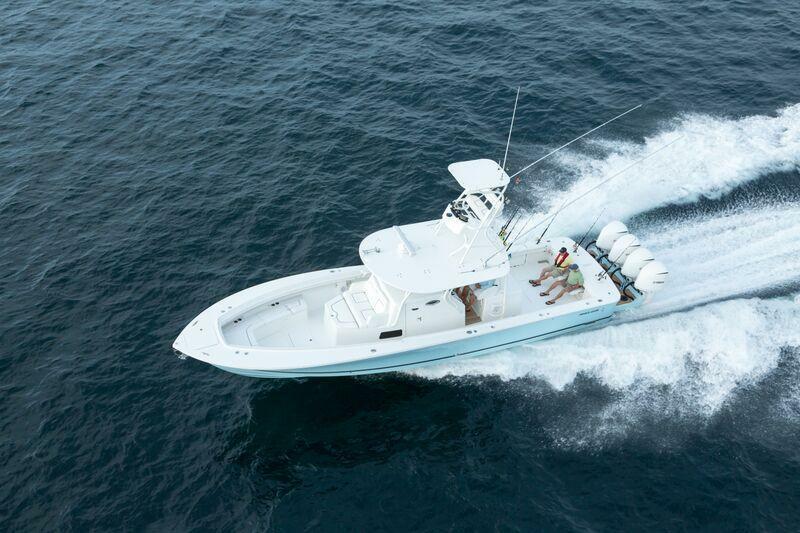 Regulator boats are designed with quality, safety, and versatility in mind. 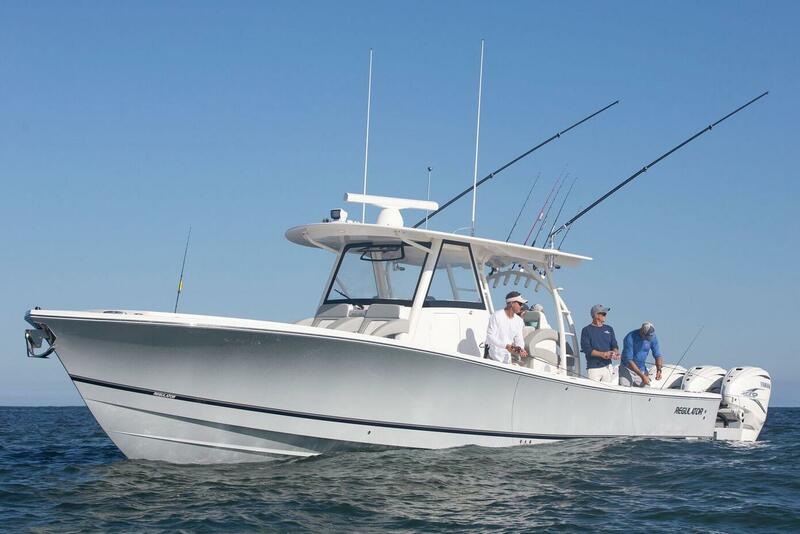 The Regulator 34 Center Console, the largest model in the fleet, was reintroduced in 2012. 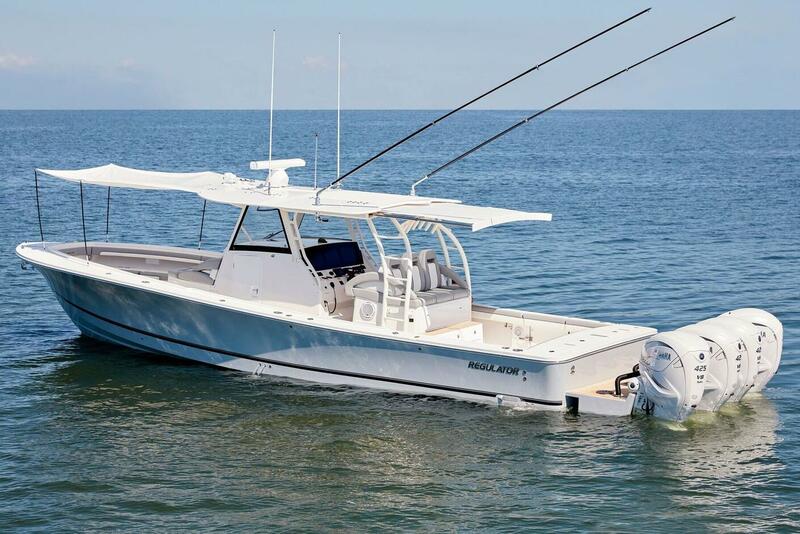 Worth Noting: Regulator’s largest model in the fleet, the Regulator 34 Center Console, was reintroduced in 2012. Regulator 21 Center Console 1995 - Current 21' 0" 8' 2" 2' 2"
Regulator 26 Center Console 1991 - Current 25' 10" 8' 6" 2' 7"
Regulator 26 Express 1993 - 1998 25' 10" 8' 6" 2' 7"
Regulator 23 1995 - Current 27' 6" 8' 6" 2' 5"
Regulator 28 FS 2011 - Current 27' 7" 9' 5" 2' 8"
Regulator 29 FS 2006 - Current 29' 0" 9' 6" 2' 7"
Regulator 25 2013 - Current 30' 0" 8' 10" 2' 7"
Regulator 32 FS 1999 - Current 32' 0" 10' 5" 2' 8"
Regulator 34 FS 2009 - Current 38' 6" 10' 11" 2' 7"
Regulator 41 2014 - Current 47' 3" 12' 6" 2' 8"
Regulator Marine was established in 1988 in Edenton, North Carolina and has handcrafted more than 3,500 offshore sportfishing boats ranging from 23 to 34 feet. The company is committed to quality and thoroughly checking and testing every square inch of each Regulator boat. 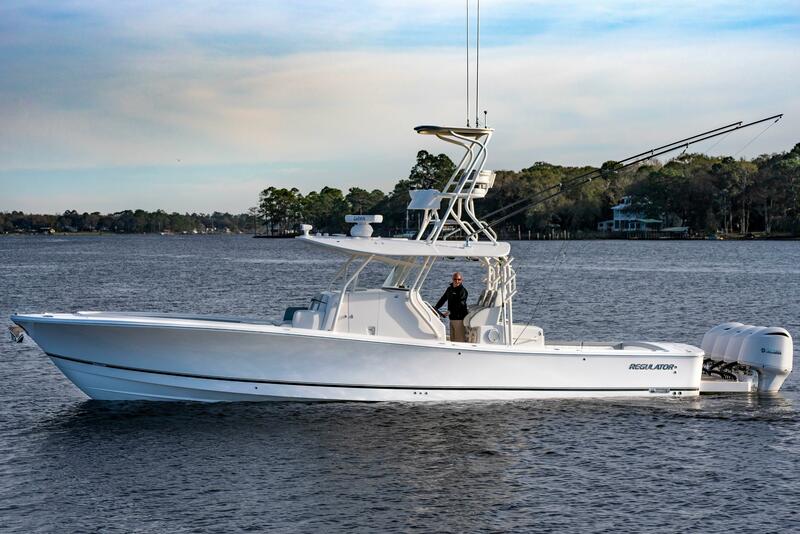 Representing quality, fishability, and performance, Regulator boats are built one hull at a time and tested in the challenging conditions of the Outer Banks waters. Regulator’s commitment to engineering and craftsmanship is continually improved to meet the demands of serious anglers. Regulator has a full-time customer service department that has received high ratings since the origin of the National Marine Manufacturers’ CSI Award. Regulator is able to enhance its product line by listening to customer feedback. 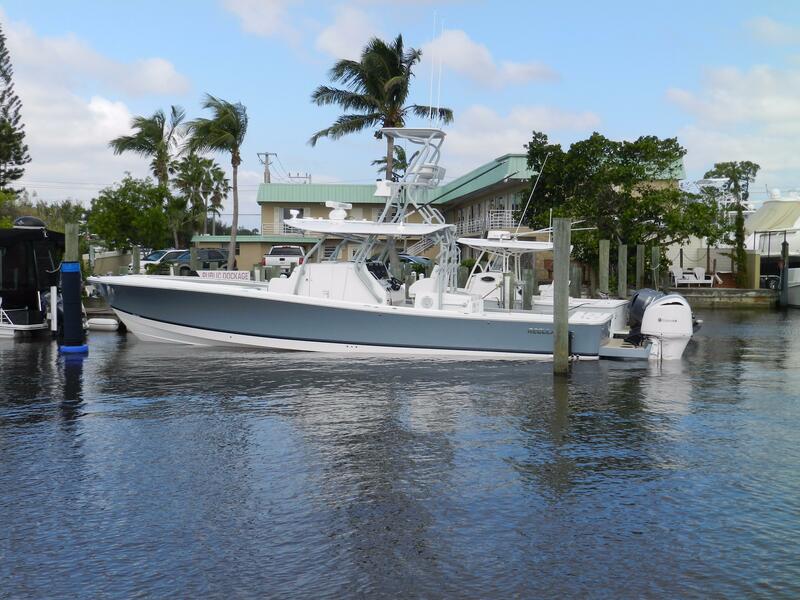 Regulator offshore fishing boats are designed and engineered to be reliable and safe in inclement weather conditions and rough waters. Using the finest glass, resins, gelcoats, and barrier coats, Regulator has an advanced lamination facility, where its laminates are hand-laid and cured with a high-powered ventilation system.